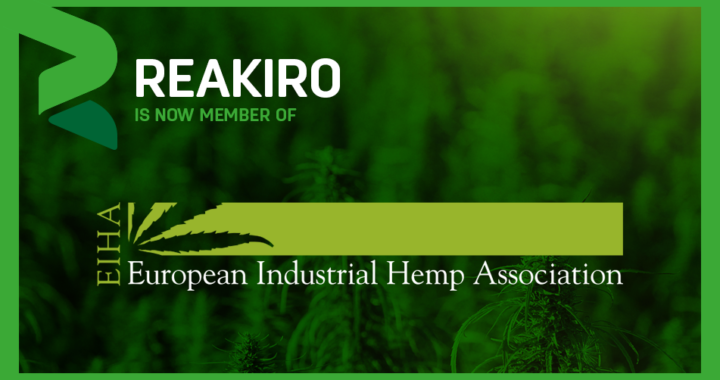 We are happy to announce that Reakiro is now a member of the “European Industrial Hemp Association”.Its members come from 31 different countries and comprise players in industrial hemp processing and distribution, the car manufacturing, construction, food and feedstock industries, as well as the pharmaceutical sector. In 2014 the International Conference of the European Industrial Hemp Association, was one of the largest conferences on industrial hemp worldwide. This year, on 12 — 13 June more than 300 international participants from more than 40 countries are expected in Cologne, Germany. See you there!